The first 10 miles of what will hopefully become a 60 mile trail system are now in place and ready for riders. As of the writing of the description, trails currently consist of an easy 1 mile beginners loop and a 9 mile intermediate loop which encircles the mountain and takes full advantage of the terrain and elevation. Think of these current loops as flow trails with elevation. If you crossbred F.A.T.S. and Pisgah, this would be their baby.  Trails flow clockwise. 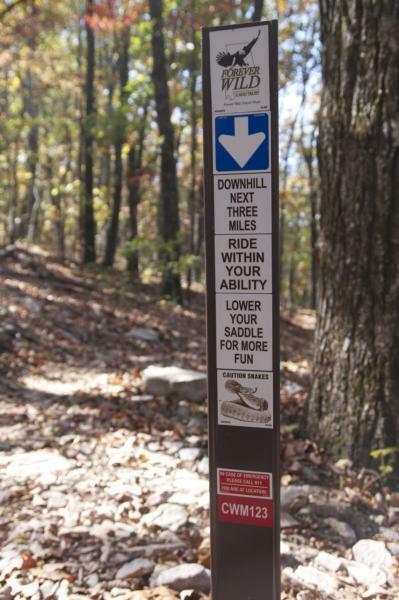 Update 3/5/14: Coldwater Mountain now has 25 miles of trail. IMBA has arrived 3/2014 and plans to add 11 more miles over the next couple months bringing the trail to approximately 35 total miles. A: It's definitely a good place to start. The Baby Bear and Mama Bear trails are a fairly easy beginners trail. As you get better, there are some great challenges further up the mountain! Q: do they have water and do they have camping on site? -Daniel Lee Dault Jr.
Review: Did the tortoise trail going up and the hair trail going down. Beautiful day and not to tuff. 5 miles total. Review: Awesome system - Gaza was both artwork and incredibly challenging. Trail Builder Oscar for the Gaza crew! Review: It was a beautiful day. Well marked trail, plenty of maps. Lots of diversity to keep you interested. I meet several nice people. Lots of climbing, rock gardens and great views! Review: Coldwater is epic. That's all you need to know. Review: I just rode out here today. 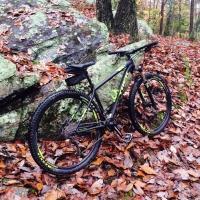 i rode the Baby and Mama Bear trails. I wouldn't call these beginner trails; more like novice. Still a beginner could ride these particular trails. The Baby Bear connects to Mama Bear. Mama Bear is downhill for probably the first 2 miles. The next 1.5 is mostly switchbacks uphill. Then there's a relatively flat but very fast section towards the end. Overall I clocked 3.7 miles which was great for the short ride I was looking for(due to time). I am going to get out here earlier next time and try to do all the beginner trails. Someone told me it's about 8 miles of beginner trails. Anyhow, I saw enough of these trails to realize these are awesome trails. I'm in West Cobb/Atlanta, but I will most definitely be heading out here again. Review: Rode this weekend after Irma came through. There are a few large trees down, blocking the trail. For sure one on Oval Office, but can't remember the locations of the others. Tons of huge acorns down as well right now, which can make some of the corners... interesting. 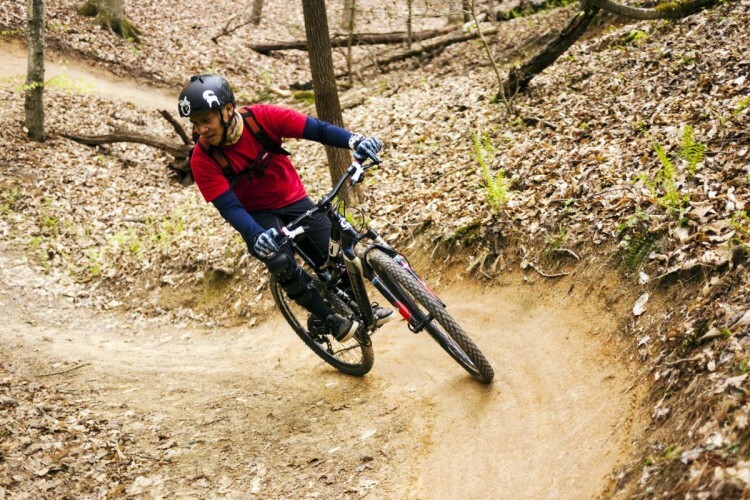 Review: Best trails in the state! 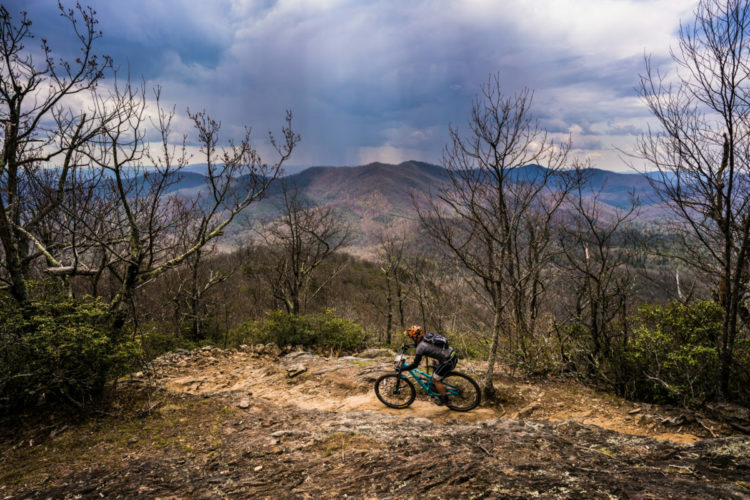 Review: I stopped at the Anniston trail head to Coldwater Mountain for a quick (1 hr) ride while on a trip. I would have liked to have explored more but lacked time. It's a well built, well designed single track trail. They seemed to be aiming for flow which they come close to achieving. The part I rode had longer climbs than I would associate with flowy. There was nothing especially long, but you weren't sprinting up. It was somewhat rocky, but not to the point I would describe it as technical. You feel pretty removed from civilization except for some distant highway noise. It is beautiful and there was hardly anyone on the trail at mid-day during the week. I liked the trail but found the signage lacking. There are signs, but they need more and better located. There also seem to be trails that are off the map. I had downloaded the GPX into my phone. On part of the trail I had diverged from the tracks. Nothing bad about this except there were sections I wanted to get to that I had a hard time finding. 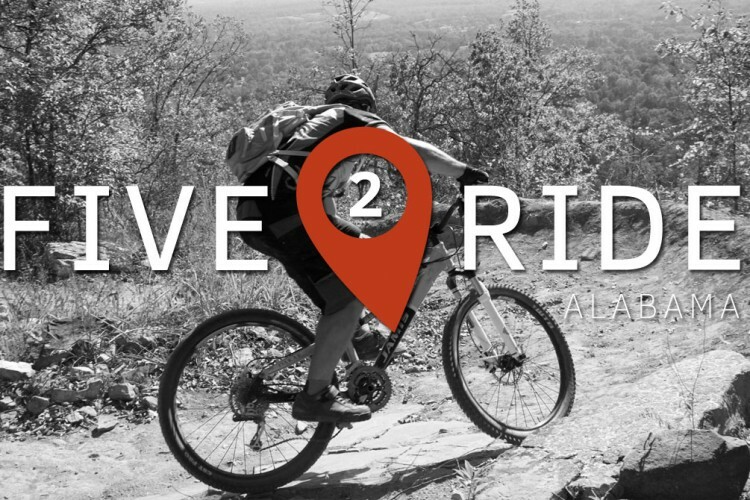 Bottom line: if you are in the area you should definitely ride this trail. From the limited sections I rode, I can't recommend you go to great effort (far out of your way) to ride this trail. To be clear, I'm not saying you shouldn't, just that I didn't see enough of it to make that recommendation. 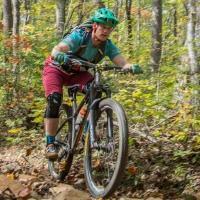 Coldwater Mountain MTB Trail 4.70 out of 5 based on 110 ratings. 110 user reviews.